A PLATFORM FOR GLOBAL BUDDHIST MEDIA ?Right Speech, Free Inquiry, One Dharma? ?Right Speech, Free Inquiry, One Dharma? Over the last three decades, global development of Buddhism ? especially in the west has been the fastest compared to other religion. While many mainstream religions emphasize doctrinal and theological beliefs in the creator God, and the oneness of identity between its followers and the creator, Buddhism maintains an attitude of organic growth through personal cultivation and localizing the diffusion of values and culture. The symbiosis of values transmitted through teachings of different schools and the absorption into local culture have, unfortunately produced ?pocket communities?, or ?islands of communities?. These communities, while distinct in their practices and devotion which mirrors that of their imported roots, whether from the Theravada, Mahayana, Vajrayana or Zen traditions, do not however mingle freely amongst themselves due to sectarian and devotional practices. The communication gap is even more pronounced between the newly Western based adherents and those from Asia, the heartland of Buddhism. The myriad shades and hues of language, culture, rites and rituals further compound the divide. What is clear is that the gap between various Buddhist groups within a region and between regions is widely recognized. Unless people have access to means of engagement, they will feel that they have little to participate in community, or Sangha building process. Communication is essential to a healthy inter and intra-personal growth. It is a two-way street. Personal growth can flourish only if they know what is going on within their own community, their own Sangha, the communities around them and are able to participate fully. Communication can never be divorced from what is being communicated. Buddhists adherents, like any other, looks forward to community support in their quest for self development and purification. It is therefore essential to any communication policy that there should be an effective delivery programme. But delivery by itself is not enough. Since 2001, the Buddhist Channel (www.BuddhistChannel.tv) has taken the initiative to deliver Buddhist related news and information via the internet. Today, it is the world?s largest Buddhist news network. The channel has evolved to become not only a media for Buddhist news, but has also become a cross-cultural platform to foster trans-national and cultural understanding among Buddhists. creating a common platform on the use of language and presentation. The end result has seen the development of an equitable access for Buddhists to voice their aspirations and concerns. The Buddhist Channel is founded on a simple philosophy guided by the wisdom of Buddha Dharma, which is ?Right Speech, Free Inquiry, One Dharma.? This platform has enabled the portal to create spaces for involved discussions, equitable news sharing and timely information distribution and analysis. With these initiatives, many forces are brought into play, and a partnership approach is essential. Success was and has been predicated upon the involvement of all stake holders ? the other Buddhist institutions and bodies; the national, regional and local centers, special interest groups, key individuals, civil society. The main purpose of this presentation is to share ideas and experiences on how and why the Buddhist Channel have succeeded to become the face of global Buddhist news exchange. To facilitate the discussion, the paper is broken into two parts. Part I sets out the Buddhist Channel?s vision of what makes a practical, global Buddhist communication platform. Part II identifies the key areas for an agenda of consultation and action to creating an effective communication space. The enhancement of communication between Buddhists should become a media policy in its own right. The formulation of such a policy should be based on genuine dialogue between the people and the policymakers and lively public discussion among Buddhists themselves. The Buddhist Channel have had special role coordinating to play in the formulation of such a policy, as it has over the last 10 years become an organically grown global media serving the common interest of Buddhists regardless of their denomination and tradition. It is thus placed in a pivotal role to enhance cross cultural and inter-regional communications between various Buddhist schools and traditions. It?s neutral, media centric focused allows it the ideal opportunity to promote the development of ?One Dharma Communication?. Buddhist citizens today exercise their rights and practice mainly at national and local level. People learn about their faith and issues largely through personal contacts amongst themselves, via the local temples/ centres or representatives of a regional based association. In short, the ?public sphere? within which Buddhist contact takes place in much of the world is largely a personal, regional or national sphere. To the extent that Buddhist issues appear on the agenda at all, they are seen by most citizens from a regional or national perspective. Communities remain largely localized or national, partly due to language and devotional barriers. There are few meeting places where Buddhists from different denominations can get to know each other and address issues of common interest. These are consequences of ad-hoc Buddhist growth (especially in the west), leading to compartmentalization or the creation of island communities. Buddhists need to find a formula where gaps of compartmentalization or island communities can be closed. While the bridging factor would be to have an effective media vehicle in place, but more importantly such vehicle should be driven in the spirit of ?Free Inquiry and Right Speech?. A platform for public discussion across followers of all denominations, such as the Buddhist Channel, should be made available for these means and spirit of communication to be deepened. The Buddhist Channel?s 10 years of experience have taught it that at the heart of ?mindful and effective communication?, five areas for action need to be developed in partnership with institutions, special interest groups, key individuals and civil society. These five areas are outlined as follows. The right to information, free inquiry and right speech are at the heart of a vibrant, free Buddhist community that is conducive to spiritual, personal and community growth. Inclusiveness. Buddhists should have access in their own language to information about matters of public concern. This means that information should be made widely available through a wide range of channels, including the mass media and new technologies such as the Internet. It also means that people from all walks of life in Buddhist communities should be helped to develop the skills they need to access and use that information. This is particularly important in the case of minorities, the economically disadvantaged, communities without internet access and other groups that might systematically be excluded from participation in the public sphere. Diversity. Buddhists come from widely diverse social, cultural backgrounds and traditions. A communication policy must respect the full range of views in the public debate. Participation. Buddhists should have a right to express their views, be heard and have the opportunity for dialogue with the decision-makers. At a national level, where there is an added risk that institutions are remote from the individual, this principle is of particular importance. Any successful Buddhist communication policy must centre on people needs. It should therefore focus on providing the tools and facilities ? forums for debate, the channels of news dissemination and public communication ? that will give as many people as possible access to information and the opportunity to make their voices heard. Information technology programs seek to reduce the digital divide and tackle exclusion. Connecting Buddhists with each other. Forums for public discussion of Buddhist issues are essential for building mutual trust, respect and willingness to work together towards common objectives. While communication technologies are obviously important, face-to-face meetings remain crucial. Facilitating platforms for Right Livelihood projects. The formulation of a market exchange built on the principles of sharing (dana ? generosity) and waste reduction is the culmination of a matured society. With the advancement of cheap fixed line and mobile broadband, an Online Market Exchange for should be encouraged to provide a place where people can engage in Right Livelihood as well as non-profit bartering activities. How to reach out to the Buddhists? Access to Dharma based materials is one of the core responsibilities of a Buddhist center. The Buddhist Channel has helped to facilitate the development of a common Dharma exchange pool so that surplus materials found elsewhere can be redistributed to other areas of need. Training young Buddhists on the use of new media such as Podcasting and web design, to become critical free agents in gathering, recording and distributing news worthy events via broadband and wireless platforms. The media are key players in any Buddhist communication policy. In recent years, The Buddhist Channel has made considerable efforts to improve the way news related to Buddhism and Buddhist development is delivered. With over a 1.2 million unique visitors a year, much has been devoted to ensuring that the channel provides critical and timely information to readers. However, in spite of these efforts, and the professional input making the Buddhist Channel to what it is today, media coverage of Buddhist issues remains limited and negligible. Regional and local newspapers reach a larger number of people but generally give little space to Buddhist issues. As television and radio have changed their programming patterns, time devoted to Buddhist related information and to issues of interest to Buddhists at large is squeezed still further. Due to competition for ?television space?, it is clear that without commercial appeal, the opportunity for the outreach of Dharma based content via such media continues to be dim. While this trend is common in non-Buddhist regions such as the west, it is becoming more and more prevalent even in Buddhist dominated regions such as Thailand, Sri Lanka, South Korea and Japan. The information revolution has fundamentally increased the accessibility of information and has opened up the world of ?interactive? media. Unprecedented numbers of people can now easily connect with one another and take part in all kind of networks. But it will still take a lot of work to fully exploit information technology?s potential to close the information gap. A new generation of media consumers has risen demanding content delivered when they want it, how they want it, and very much as they want it.
? 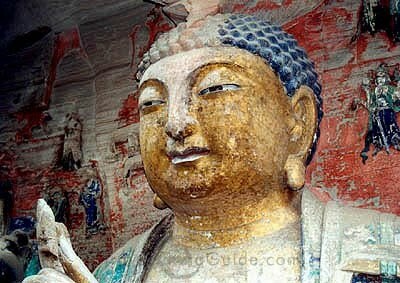 Give Buddhism a human face. Buddhism is often perceived as exotic and ?impersonal?. Due to its myriad schools and traditions, it has no clear public identity. People need help to connect with Buddhism, and information has greater impact when put in a ?human interest? frame that allows Buddhists to understand why it is relevant to them personally. The Buddhist Channel has endeavored to produce more human centric content development – and all levels of Buddhist institutions can do more to ?give a human face? to the information they provide.
? Exploit the potential of new technologies. Digital technologies such as the mobile internet can offer new channels for communication on Buddhist issues, new forums for debates and new tools for cross-border promotion of free inquiry and right speech. However, political leadership is needed if Buddhism is to fully exploit the platform?s potential and ensure that it does not create new divisions in society. The Buddhist Channel seeks to close the gap between the information society ?haves and have nots? ? addressing such issues as equal opportunities, ICT skills and the inequalities between different regions in terms of Internet access.
? Bridge the digital divide by becoming a resource for content manifestation. As an internet media, the Buddhist Channel serves as one of the world?s richest resource portal. There is no limit or restriction to accessing its content. It can play a pivotal role in coordinating re-publication or translation of selected news content into print materials for distribution where internet access is non-existent or limited. The channel can play supporting roles for groups such as Dhamsara which distributes free newspapers to temples and centers in rural villages based in Sri Lanka. How to involve the media more effectively in communicating Buddhist issues? In modern democratic societies, policy-makers devote a great deal of attention to analyzing public opinion, using tools such as opinion polls and media monitoring. The importance of these tools has increased in parallel with the tendency for citizens to withdraw from traditional politics (joining political parties, voting in elections, etc.). Buddhist public opinion is complex and diverse, reflecting different denominational perspectives. In many cases, due to the emphasis on personal cultivation and ?self-salvation?, Buddhists tend to shun any effort for group conformity, other than that of their immediate community or Sangha. Understanding it therefore poses a particular challenge. To better anticipate and understand trends in public opinion in relation to issues of crucial importance for the future of global Buddhist development, new avenues for co-operation between the Buddhist Channel and interested Buddhist institutions could be explored. Establish a network of Buddhist experts in public opinion research, to help exchange best practices and develop synergies between researchers at all levels. Interested Buddhist institutions can pool available resources to set up an independent Observatory for Buddhist Public Opinion which would identify and provide in-depth analyses of trends in public opinion. A working ?Buddhist public sphere? cannot be shaped by any one institution. It can only emerge if the objectives are backed by all key stakeholders and taken forward at every level. The group and individual level remains the primary entry point into any debate, and regional and local Buddhist centers and other national actors have a responsibility to use existing channels to ensure a robust Buddhist debate. The Buddhist Channel is a common project shared by all levels of institutions, all types of organizations and people from all walks of life. Buddhists have a right to information about Buddhism and its development, a right to express their views about their faith and to be heard. This is the challenge of communication ? to facilitate this exchange, the learning process, the dialogue. For Buddhist communication and the Buddhist Channel to rise to the challenge, all the stake holders involved need to have an agreed set of objectives and a shared ?toolbox? of measures they can take. It means working together in innovative ways. This paper outlines the challenge and identifies how it might be met. We now seek the views of the Buddhist institutions, regional and local Buddhist centers, non-governmental organizations, stakeholders and the Buddhist citizens of the world on how best to connect and communicate ?mindfully?, in accordance with the tenets of ?non-harming? and the development of wisdom and compassion.